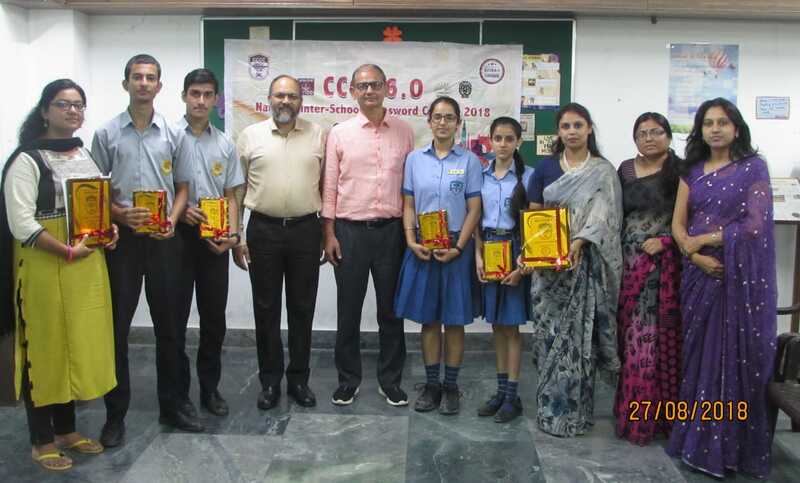 Heritage School, Jammu hosted the city round of Cryptic Crossword 2018 for the second consecutive year. About 23 top notch schools of Jammu actively participated in the event. Students love to do puzzles of all kinds, but cryptic crosswords are often seen as a challenging form of entertainment. The aim of the contest was to cater to intrinsic and hidden talents of the students along with enhancement of multi-disciplinary intelligences. The event was organised by Extra-C in association with Kendriya Vidyala Sangathan, Navodaya Vidyalaya Samiti and Doordarshan. The students were seen enjoying the engaging contest that completely exercised their grey matter. J P World School emerged as the winners of the competition. Heritage school bagged the runners up trophy. The winning team gets an opportunity to participate in Inter-city national level cross word contest to be held at Delhi in December.